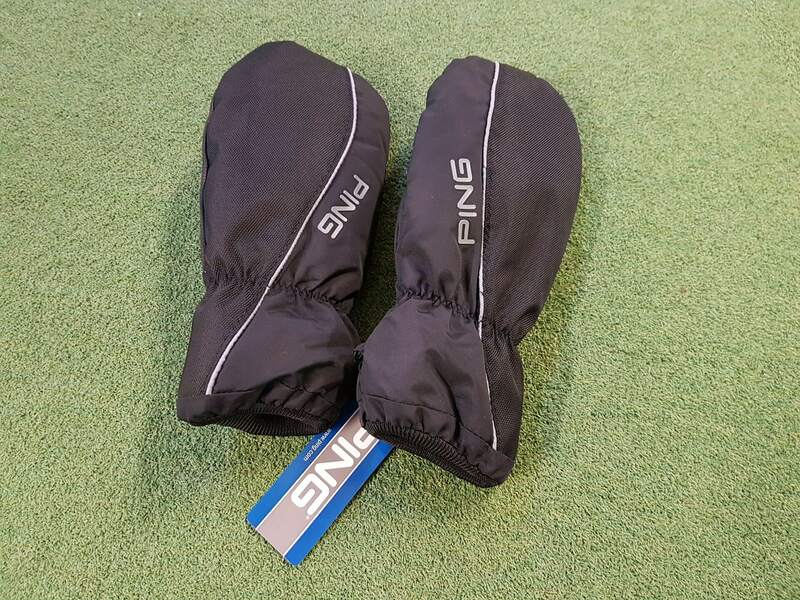 Golf mittens by Ping in all black. Keeps your hands warm and toasty when pushing your cart and between shots on your round. Ideal accessory if you like winter golf.